Cosmetics, Medicine, Food, Adhesive, Paiting Etc. 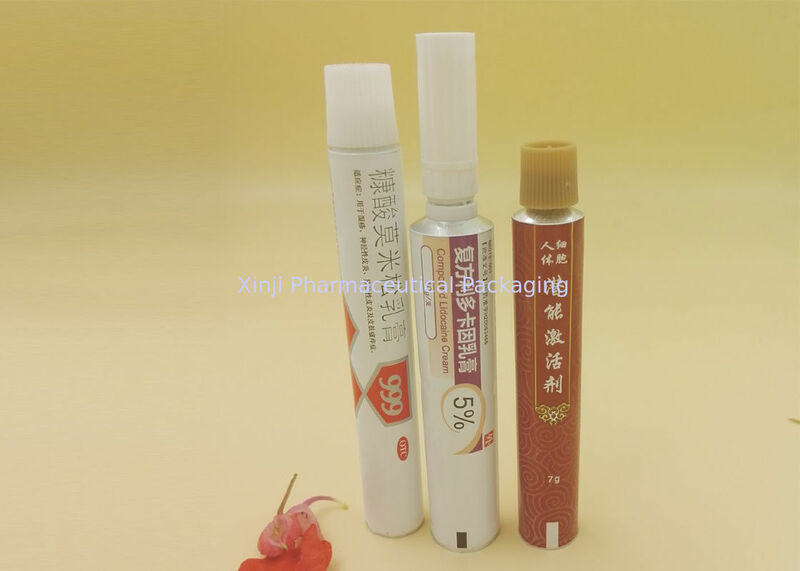 Hubei Xinji Pharmaceutical Packaging Co.,Ltd located in China’s central city of Wuhan city circle, established in 1981 with nearly 40 years experience in aluminum tube manufacturing. We are the 3rd largest manufacturer of collapsible aluminum tube industry. Our Aluminum tube is made of good quality aluminum material with advanced printing machine in a GMP workshop. These tubes are widely used for pharmaceutical ointment/cream packing, and also cosmetic packing, such as hair dying cream, hair bleaching cream, etc. * TAMPER-PROOF: Makes adulteration impossible. Cannot be re-filled or re-used. * PROTECTIVE: Contents remain well protected and free from contamination. * ELEGANT: Attractive Possess a bright surface and lend themselves to trouble-free printing, this enhances shelf and customer appeal. * NON-TOXIC & HYGIENIC: Non -Toxic, hygienic, non-absorbent, Impart no * LIGHTWEIGHT: Easy to handle. Reduces transport and handling cost. * COMPLETE COLLAPSIBILITY: Highly ductile, ensures complete collapsibility. * EASY AVAILABILITY: Aluminum Collapsible tubes are easily available. * ECONOMICAL: Costs less than Tin or lead tubes. Needs no varnish. * USER CONVENIENCE: Easy to use, unbreakable, easy to carry, light in weight, hygienic.